Create a design from our online design studio OR upload your own design. Look for "Free Sample Button" in our Online Design Studio, My Portfolio, or My Cart page. 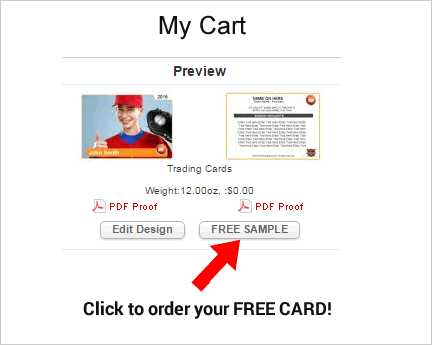 Complete the order information, we will print one card for FREE! Note: One Free Card per order only, it cannot be combined with other orders.